- all about healthy and nutritious home cooked food with stepwise pictures. 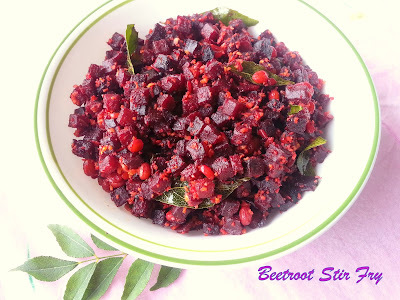 Beetroot Pachadi is a healthy delicious side dish from Indian state of Kerala. Made with cooked beetroot, coconut and plain yogurt , it is usually served on special occasions and festivals and is an integral part of Onam Sadya. The recipe is very simple and easy to follow. 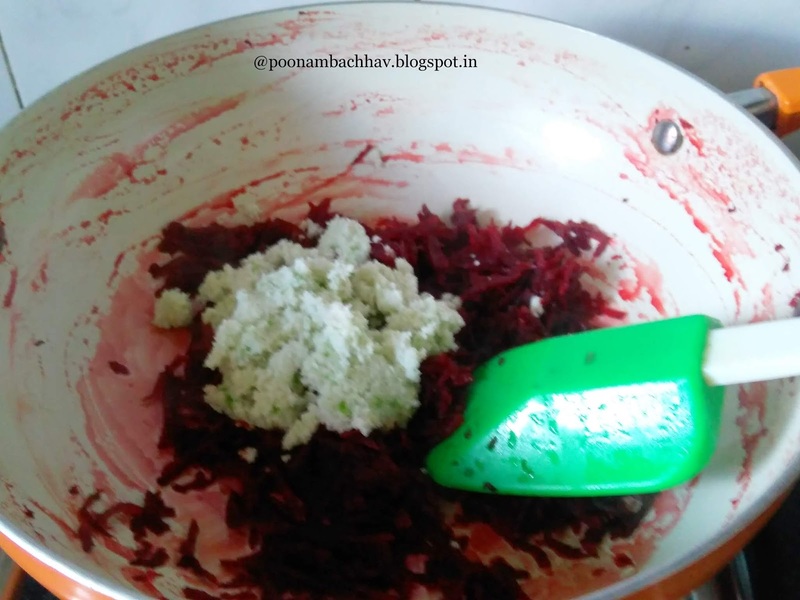 Beetroot pachadi has a very appealing color and tastes great with steamed rice. I love simple yet flavorful yogurt based dishes. South Indian pachadi is similar to the North Indian raita. 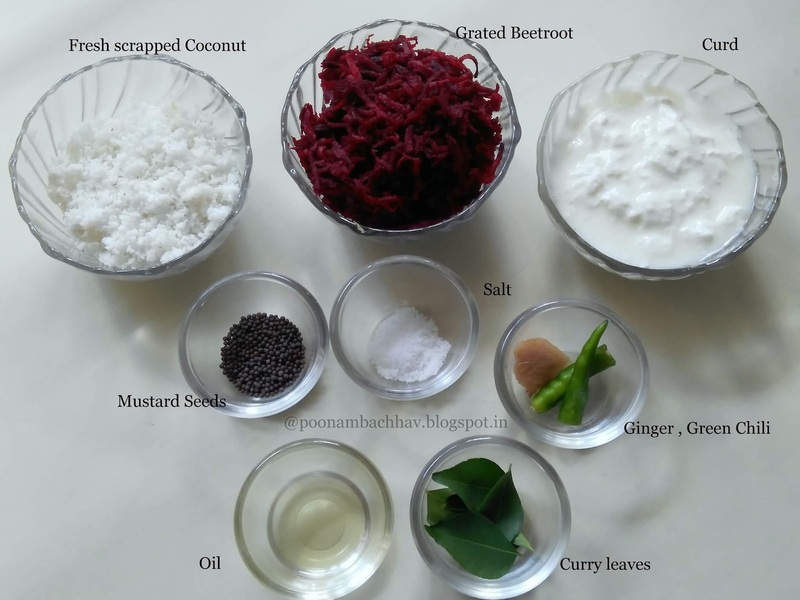 An onion garlic free ,comfort food with distinct coconut flavors , beetroot pachadi is one of the best ways to include the healthy beetroots into our daily diet. 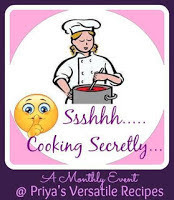 #Kerala Cuisine was this month's theme for Facebook group, Shhhhh Cooking Secretly Challenge. My partner for this theme, Poornima Porchelvan blogs at poornimacookbook.com. Do check out her space for some lovely recipes. 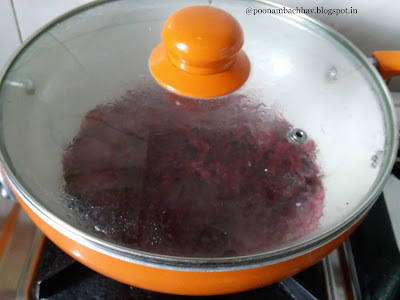 She gave me ginger and yogurt as my two secret ingredients, and i cooked this flavorful and aromatic beetroot pachadi using them. In return , i gave Poornima, coconut milk and green chilies as her secret ingredients. 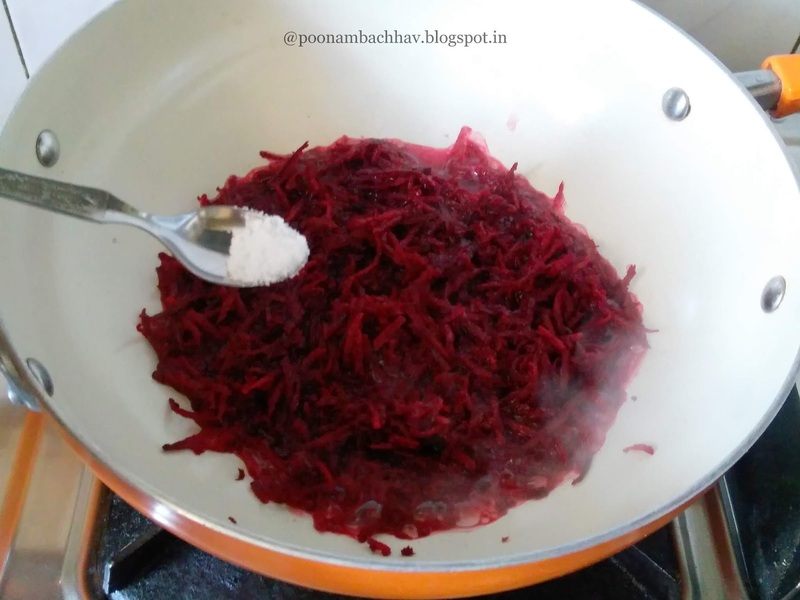 Add the grated beetroot with 1/2 cup water and salt to taste in a pan. Cover cook the beetroots until they are soft and cooked well and all the water has been evaporated. 2. 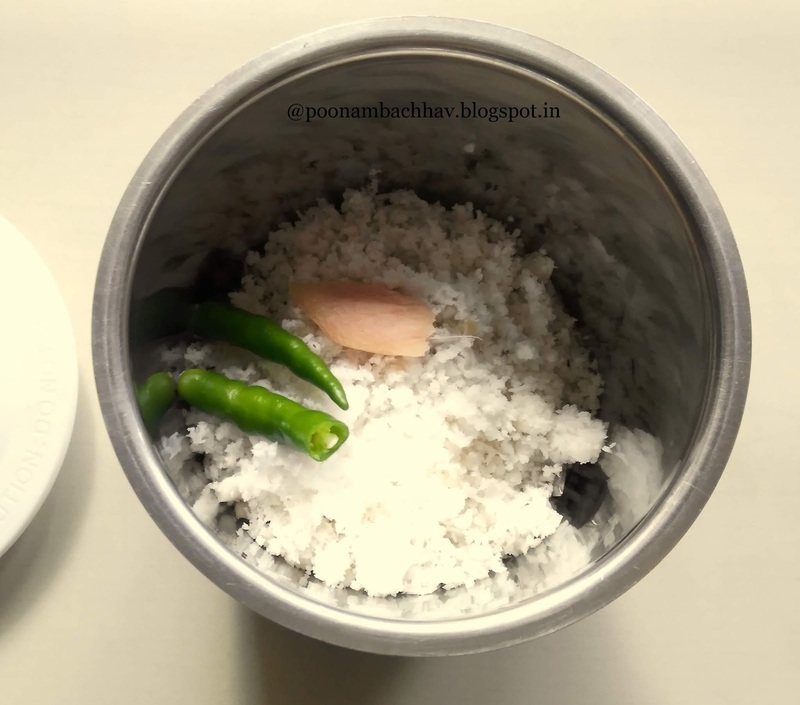 In a grinder jar, grind scrapped coconut, ginger and green chilies to a paste without adding water. Add this paste to the cooked beetroot and stir well. 3. 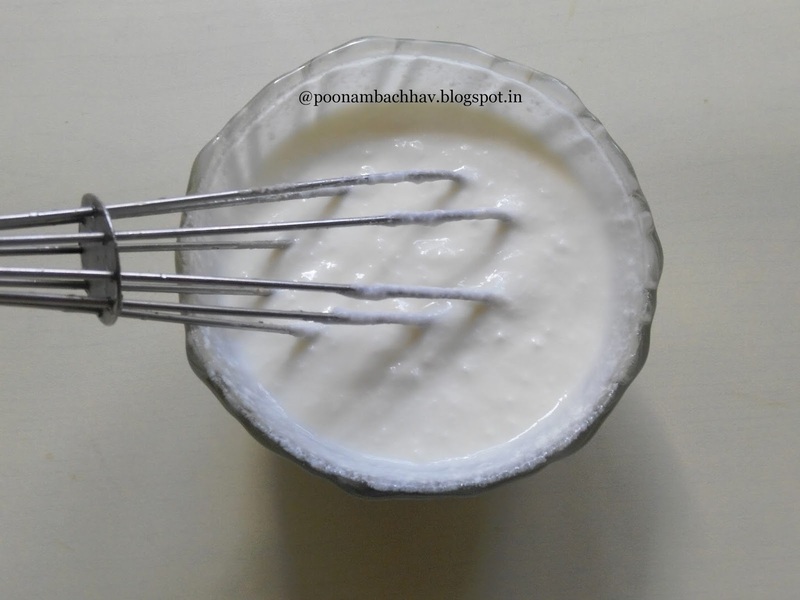 Whisk the curd well using a wire whisker until it is smooth , and without any lumps. 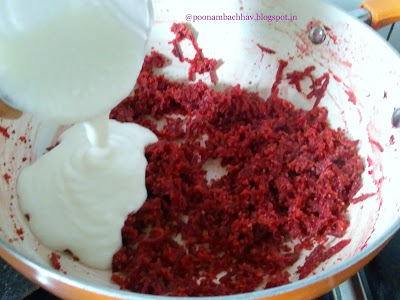 Put off the flame and add the whisked curd to the beetroot coconut mix. Stir well. The dish will turn into a gorgeous pink color . 4. Lastly , heat the coconut oil in a small wok . add mustard seeds to it. Once the seeds splutter, add curry leaves to it and pour this tempering over the raita. Serve the beetroot pacahdi with steamed rice and enjoy with your loved ones ! Whisk the curd well before adding it to the pachadi. Add curd only after the gas has been put off or there are chances that curd mught curdle and spoil the whole dish. 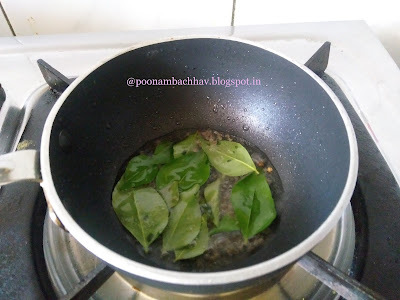 You may increase the quantity of green chili if your prefer spicy taste to the pachadi. Use coconut oil for tempering if you are looking for the authentic taste of the pachadi. If you ever try this recipe, do share your feedback with us in the comment section below. Follow us on #Facebook #Instagram , #Twitter and #Google+ for more recipes and new updates. Very healthy pachadi.. beetroot is good for health and this is the best way to consume it. 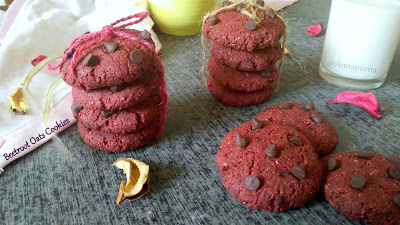 I make this once in 15 days at home as this is one of the most delicious ways to consume Beetroot. Love the pink hue it lends when curd is added to it and the tempering seals the deal for me. I particularly love the distinct coconut taste in the pachadi and the crisp curry leaf tempering. 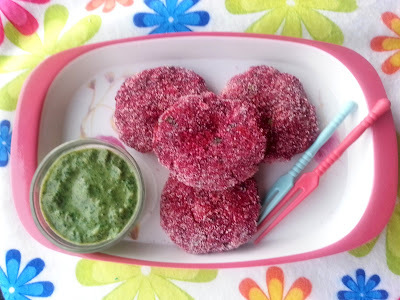 The flavors do texture of this pachadi us different from the Maharashtrian version of beetroot raita Priya ! Do give this a try. I have never tried makingpachadi sounds delicious n have all the ingredients at home. Di, without a second thought youu should definitely try this then. Happy cooking ! Awee so sweet of your daughter. Hugs to her. Thank you Priya. How catchy and pretty this pachadi looks, lovely and irresistible pachadi definitely.. Inviting. Thank you Priya. I am glad you found it inviting . 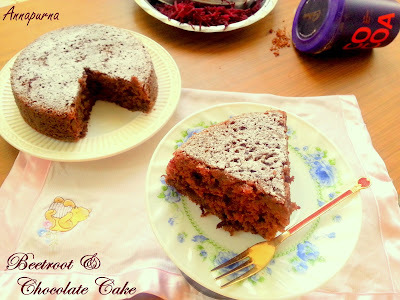 I find this is one of the best and easiest way to include beetroot in kid's diet. Amazing capture and looks very inviting! Absolutely Anu and best part is that it hardly takes any time. Healthy and yummy dish Poonam .loved it. I love beetroot raita and now one more in my list. Lovely share. Thank you di. If you love beetroot raita you will surely like this aswell. 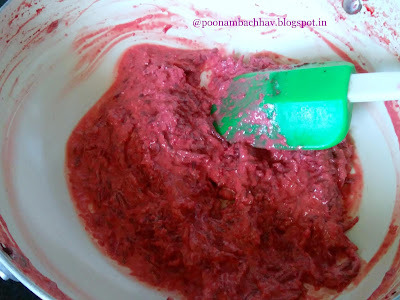 Beetroot pachadi looks scrumptious. I love any dish that has beet root in it. One due to the nutritional benefit and the other is the natural colour. Your dish looks so inviting. Thank you Renu..you are right. Beetroot dishes are so very appealing ! You have nailed it, loved the presentation. I used to prepare this pachadi,atleast once in a week. Thank you Poornima. I am glad you liked the presentation. I have also started making this pachadi quite often in my kitchen now. I have come across pachadi quite often and tasted it too but have not made it at home. Starting with a beetroot one seems like a good idea. It looks so delicious. Can have a whole bowlful on its own. Absolutely di. I treat myself with a large bowl of this pachadi on its own as an afternoon snack during hot summer days. Thank you Kalyani. Let me know if you try any of these beetroot recipes. Happy cooking ! Isn't it a great way to enjoy beet, Poonam? Lovely photographs. Love beetroot and this looks so yumm. It goes well with rice and sambar. Tank you Jayashtee. Yes it tastes great with rice and sambar. Thank you Seema. Do give it a try. I am sure you will enjoy it. The colour of the beetroot pachadi is eye catching, and the recipe shows it must be very tasty indeed. I have a lone beetroot in my veggie tray and now I think I know how Im going to use it!